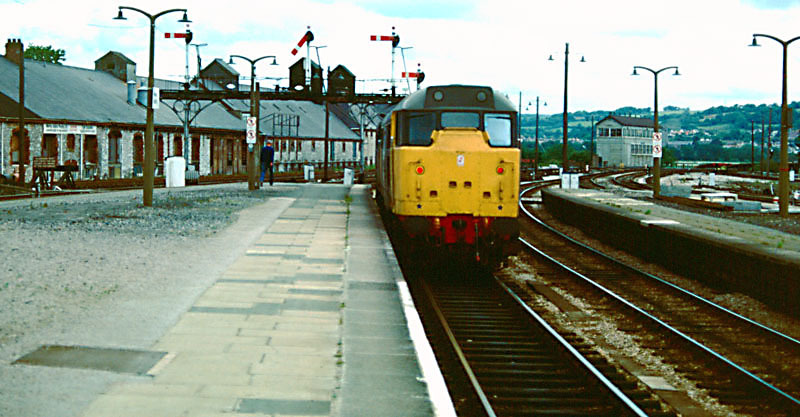 The London end of Newton Abbot station, and the up homes. 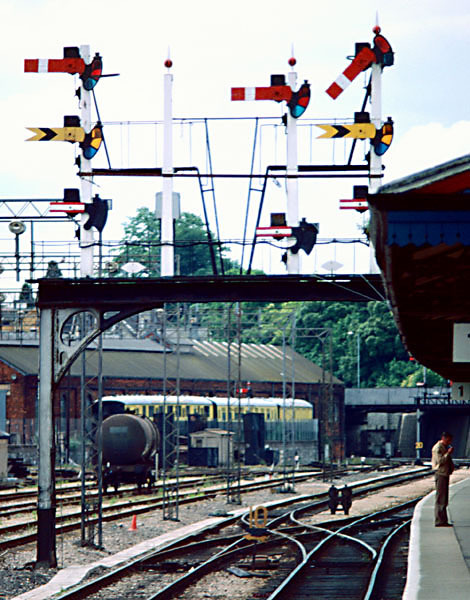 The loco is standing on the up relief, while the signals have been cleared for a train from the up main. 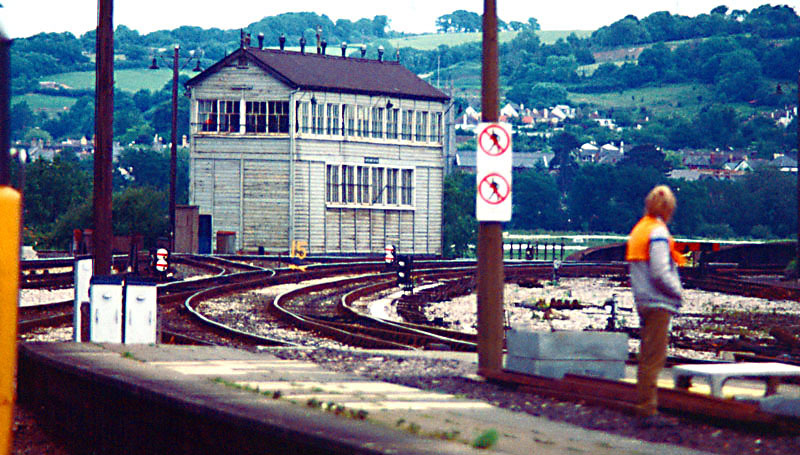 The down main inner homes gantry, with West box's intermediate distants below. I have included further commentary about this signal on the index page. 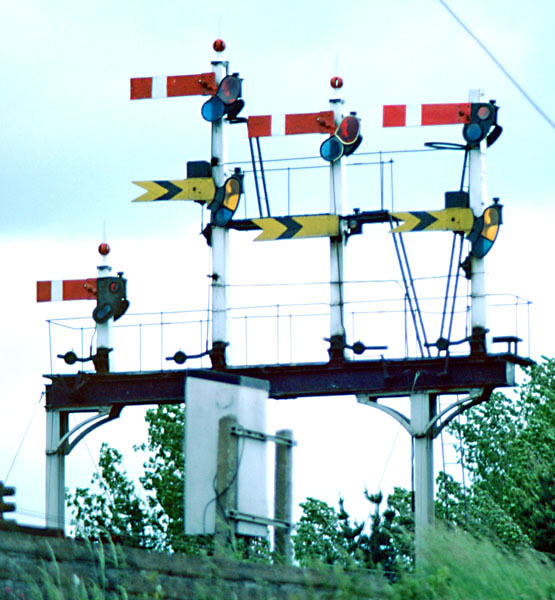 The up starter bracket, with the down innerhomes and signal box beyond. The down intermediate home (right) with West box's outer distant beneath. 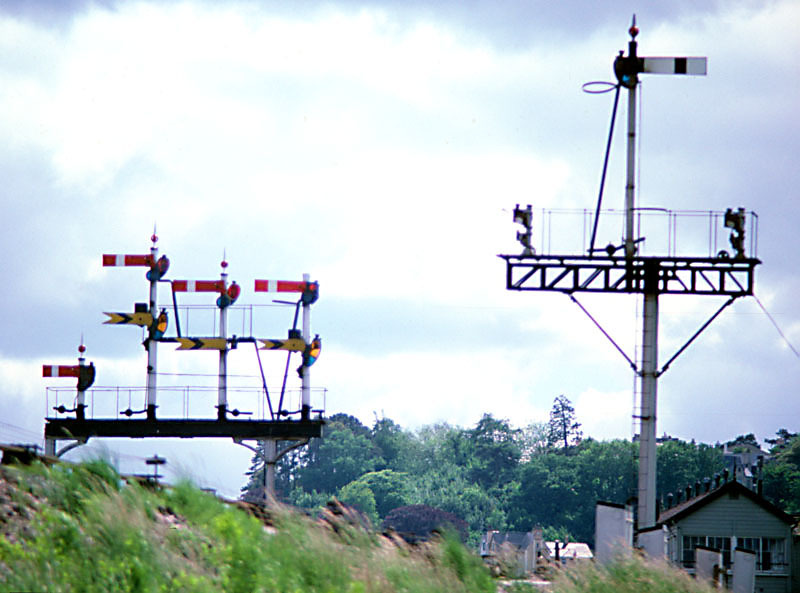 The latter was unusual in that it could clear for two different lines - the down through or down main - depending on which line the train had been signalled to at the intermediate homes gantry above. In the distance (left) the up advanced starter and down home can also be seen. A face-on view of the down intermediate home. The down through and relief line starters. 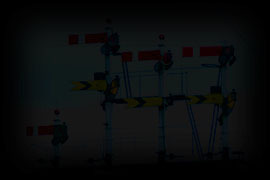 The through to relief line crossing has been taken out of use. 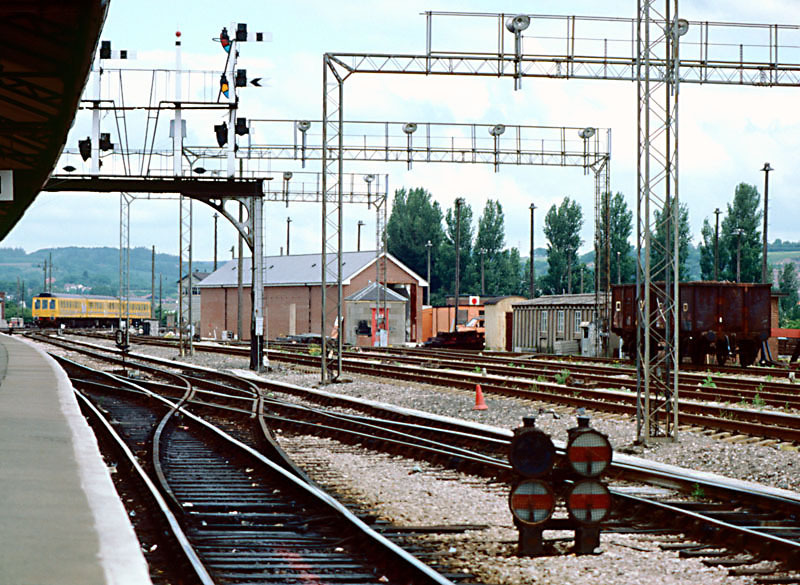 Unusually, the West box inner distant arm for the relief line was worked, whereas its relief line intermediate distant under East box's down inner home to this line was fixed at caution. 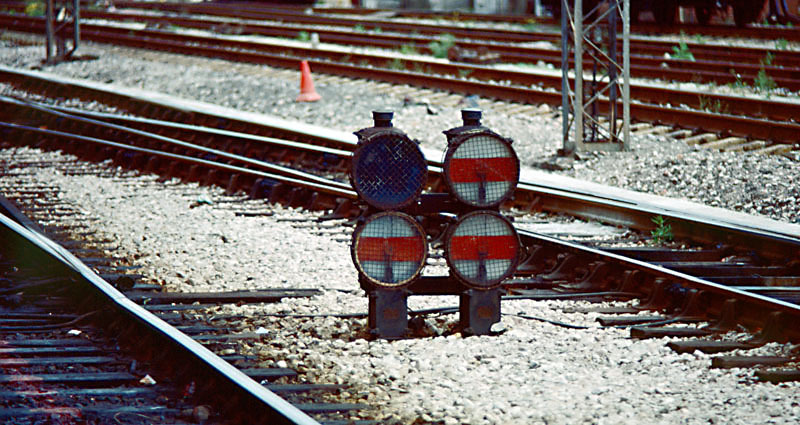 These unusual, motor-operated shunting discs controlled reversing movements over the crossings. A closer view of the above. 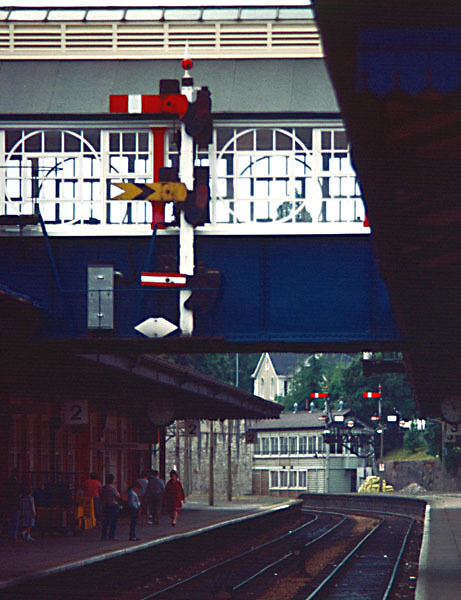 The signabox, and Heathfield branch junction.